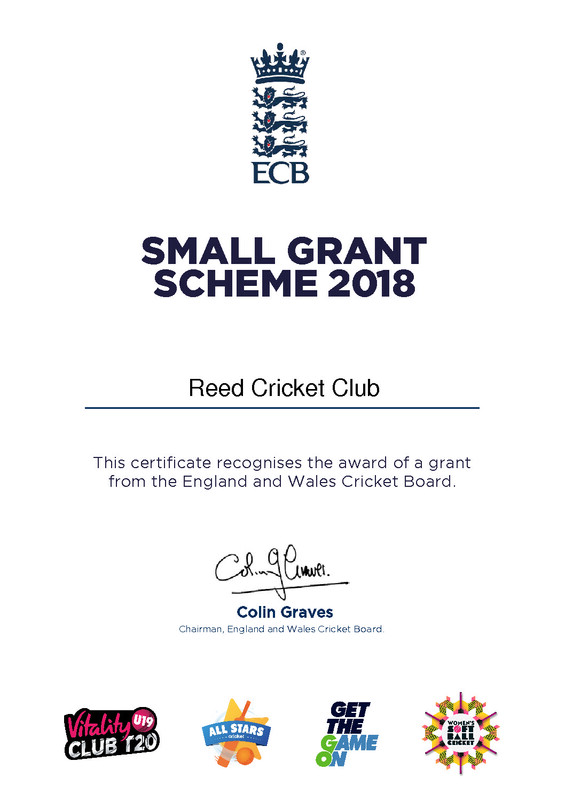 Reed Cricket Club is pleased to receive this award from the ECB Small Grants Scheme. RCC is appreciative to the ECB for its continued commitment to grass-roots cricket which has assisted our Club make improvements to the facilities over a number of years that will enable our players to develop and progress and benefit our members and supporters. PGB, Honorary Secretary, Reed CC.